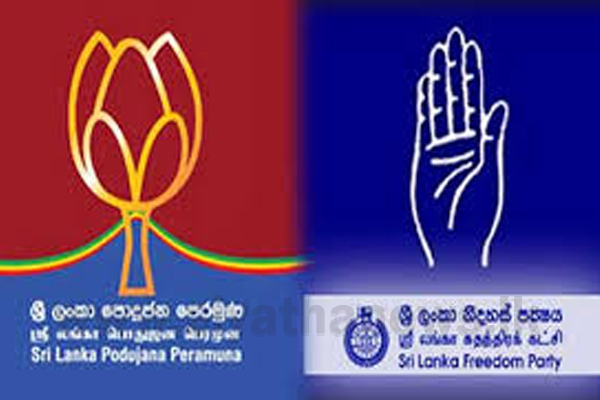 The second round of discussions between the Sri Lanka Freedom Party (SLFP) and the Sri Lanka Podujana Peramuna (SLPP) on the proposed alliance between the two parties has concluded. The meeting was held at the office of the Leader of the Opposition, this morning (21). Representing the SLFP, former General Secretary of SLFP Prof. Rohana Lakshman Piyadasa, the current General Secretary MP Dayasiri Jayasekara, and MP Thilanga Sumathipalahave attended the meeting while Chairman of SLPP Prof. G.L. Peiris and MP Dullas Alahapperuma represented the SLPP. The General Secretary of SLFP, MP Dayasiri Jayasekara, stated that a date for the third round of discussion was also set during the meeting. Accordingly, the third round of discussion on the alliance will be conducted on the 10th of April.